Born on the planet Dantooine to Kath and Jaek Dawnstar. Usually one to shy away when things seemed intense for him, school was something he struggled with, his stutter and nerves only got worse with time as the other children bullied him for it. Never one to retaliate in anger, he’d always just run off and hide. Despite this he was known to always try his best when encouraged. Some time after he turned eleven, a kid who had always picked on him was trying to take something and in an act of desperation to make him stop, Evanin threw his pushed him over, despite the kid telling on him the teachers gave him a sympathetic ear, more than aware of the bullying they simply called his mother, Kath, to come and collect him. The principle ushered her into her office and explained what had transpired and suggested taking him home for a few days, both agreed it was the right course of action for Evanin. A few days passed before a young Jedi Padawan and his Master knocking at the door. The Padawan had similar issues with nerves so Evanin was able to connect with him, making the process a lot easier, the pair of them played in the garden with a Grav ball while his mother and father talked with the Master. When they had finished, his parents took him to his room and explained he should go with them, they would be able to help him understand who he was, become a better person. After a teary goodbye to Kath and Jaek, Evanin arrived in the Enclave where he spent a few days with the Padawan he had met. The council soon decided it best for him elsewhere. That afternoon the Padawan approached and explain that Evanin had helped him, he was no longer as nervous and shy as he once was, he felt more confident and while Evanin didn’t understand, he simply smiled and hugged him. They said their goodbyes and the following morning he was on a transport, bound for a new horizon. 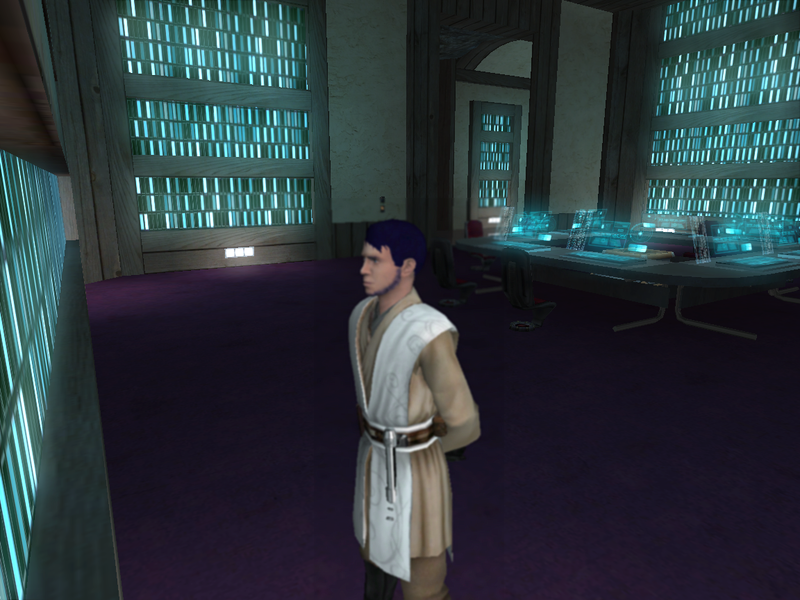 A short period of time after arriving at the Jedi enclave on Alzoc III, when he’d settled and met a number of the residents and become friends with some, on 328.18 in the presence of Councillors Alehk Thol and Amalia Feyn, Evanin was welcomed into the Jedi Order as an Initiate, taking his first steps into a larger world. On the date of 329.31, just over a year since starting his journey, Evanin was approached by Master Bo Iiln, Arven Silaan and Amalia Feyn. Master Silaan requested to “borrow” young Evanins Lightsaber and unbeknownst to Evanin it was hidden in a cave which he visited with Master Feyn and Iiln offworld, meeting up with Master Silaan who was also there. Having been set the task of retrieving his Lightsaber from the cave as well as finding a Holocron located within, he set to work and upon completing his task it was revealed this had been his Initiate Trial, thus he was now to be a Novice Learner. The excitement of the news didn’t stop there however, as soon after he was asked by Master Bo Iiln to be his first Padawan, which he happily accepted thus marking the next chapter in his training, and taking another step on his path to becoming a Jedi Knight.